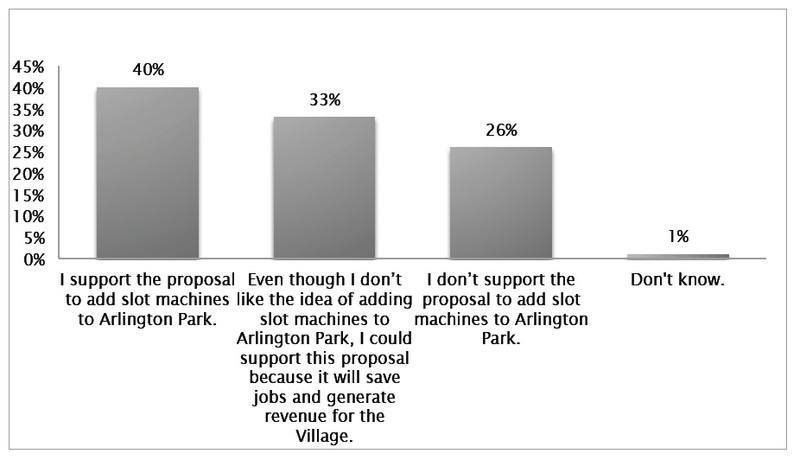 On May 1 and 2, 2011, Public Opinion Strategies surveyed 400 registered voters in Arlington Heights and recorded overwhelming support for Arlington Park’s plan to expand its gaming operations with the addition of slot machines. 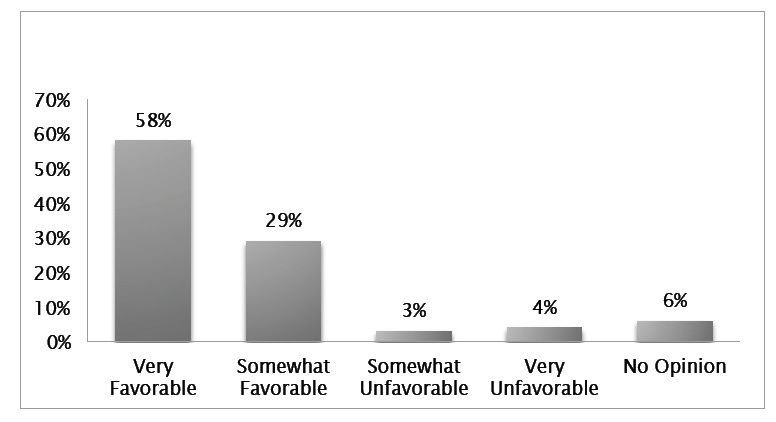 The following charts illustrate responses to key questions concerning the expansion proposal. The margin of error is +/- 4.9% in 95 out of 100 cases. Which one of the following issues do you believe should be the top priority of (Arlington Heights) political leadership? 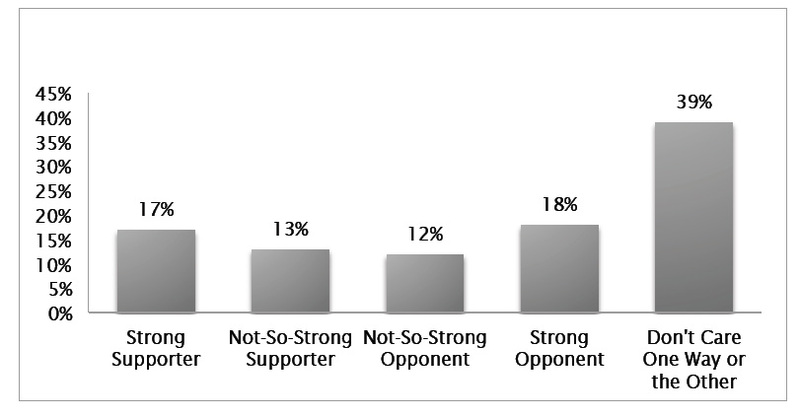 Do you consider yourself to be a supporter or an opponent of gambling, or don’t you care one way or another? And, do you have a favorable or unfavorable impression of Arlington Park, the horse racing track in Arlington Heights? Would you generally support or oppose a proposal in the Illinois legislature to allow Arlington Park to add slot machines at the racetrack? And, which of the following statements best describe how you feel about adding slots machines to Arlington Park?